The Jackson County Regional Health Center Prescription Assistance Program is set up to aid eligible patients of Maquoketa doctors in applying for free or reduced price medications through drug manufacturer's programs. Patients must meet income guidelines established by the pharmaceutical manufacturers, and must furnish proof of income to them. Not all prescription drugs are covered by these programs. We charge an administrative fee of $25 per year, which is due at time of enrollment. The $25 is non-refundable and payment of this fee does not guarantee that a patient will qualify for any manufacturers program. Medication is picked up at the hospital or, in some cases, the manufacturer may allow delivery to the patients home. It may take eight-weeks or more to receive the first medication shipment. We are not a retail pharmacy and we do not provide medication counseling, please contact your doctor if you have questions concerning your medications. We cannot maintain a stock of medication or samples at JCRHC. 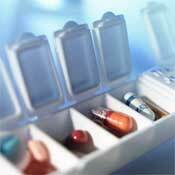 Only medications received from the manufacturers in the patient's name can be given out in our program. Drug manufacturers consider the drugs they send supplements. These drugs do not arrive at a scheduled time. Patients may have to purchase their medications at a retail pharmacy at their own expense when shipments are not timely or when manufacturers change their programs. - You have a household income of less than 200% of the Federal Poverty Level. This percentage varies by household size. For more information on prescription assistance, call 563-652-4080.